Most of us can’t imagine life without music. We listen to music in the car, at the gym, on walks, with friends-practically anytime we’re not asleep. Given how important music is to us, it’s no surprise that there are a lot of startups out there giving us new apps to discover, share, enjoy, and interact with it. In this groovy edition of Startup Digest we’ll take a look at a few of the startups and apps we think every music-lover should know. There are a lot of music streaming apps out there that can hook you up with artists and D.J.s from around the world — Spotify, Pandora, Songza — it’s a long list.Soundtap, though, brings it all back home by connecting its users with the community and college radio shows they used to listen to on terrestrial stations. The app features a listener-curated and indexed list of programming from over 800 stations around the U.S. and Canada. Users can perform keyword searches, save shows they dig to favorites, and call in to radio shows with requests, comments, and obnoxious birthday wishes. 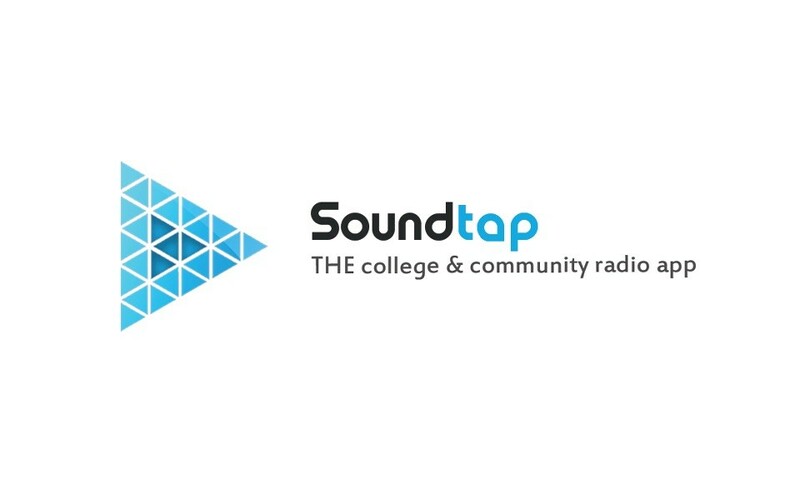 Best of all, Soundtap features a contest based on the popular NCAA college basketball tournament which pits radio stations from different college campuses against one another. What an awesome way to engage college-age listeners! Equally impressive is the fact that Soundtap is a non-profit startup, meaning there are no plans for monetizing the app moving forward. You can send cookies and thank-you notes to San-Francisco, where the founding team of ex-Google, Cisco, and GE Capital folks is based. You can check out Soundtap on Google Play and the App Store, as well as online. No matter how die-hard you are, there’s no way to make it to every show your favorite band plays. Not unless you download Phoncert, that is. Phoncert is a mobile streaming app that lets bands deliver high-quality recordings of their concerts directly to fans. All they have to do is plug in one of their iPhones to a venue’s soundboard, hit record on the app, and rock out. 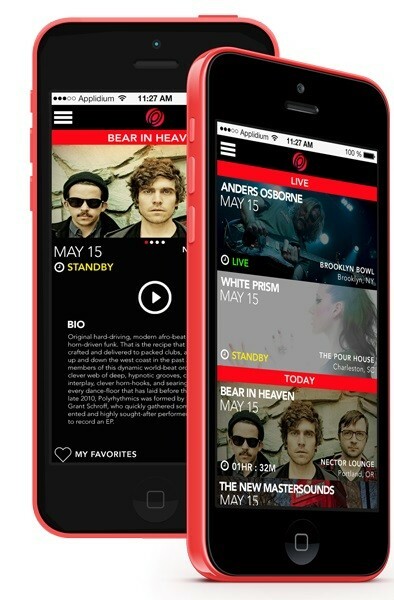 The app is great for fans, who can either listen to their favorite bands play live or re-stream archived material. Bands benefit by having a stellar new platform to release new material, publicize tour dates, and connect with listeners around the world. It’s a real win win. Phoncert comes to us from duo Jonathan Schultz and Stuart Hart, who received initial funding from Launch House, a hardware accelerator in Cleveland that gives 10 startups 16 weeks and $20,000 to bring their ideas to life. Phoncert is currently only available for the iPhone, but expect an Android version in the near future. Listening to music is often a social event, which is why weeSPIN is making it easier than ever to share playlists, songs, and recommendations with friends. The big idea with weeSPIN is to bridge the gap between streaming services and social applications, a goal which the app accomplishes by dint of its partnerships with SoundCloud, Spotify, and Instagram. This app abounds in awesome features. Users can create and share playlists composed of music from the digital libraries of its streaming app affiliates, build custom radio stations based on keywords, ‘re-spin’ mixes from friends, and «Discover» new music by tapping into the wider weeSPIN community and featured tastemakers. weeSPIN’s two coolest features, though, are a sync function which lets you listen to the same tunes as your friends in real time, and integration with Instagram which gives you the chance to create your own unique album art for your mixes. It’s audio, visual, and social all rolled into one. The weeSPIN team, Wilson Cheng and Darius Fong, are based in Santa Monica and recently received $200,000 in venture funding. Though their app is available on iTunes for free, there are a few different monetization strategies these guys could pursue in the future like a «Premium» option to unlock all of those great features I mentioned. At least on the surface, PingTune and weeSPIN have a lot in common. 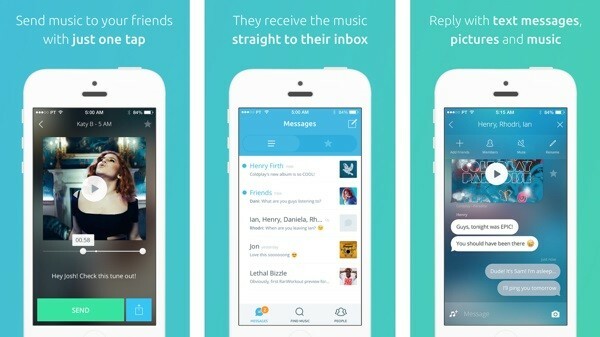 Both are social apps that let users share, discover, and talk about music. Both partner with major streaming services to give their users access to massive, free digital libraries. And both are, at least for now, free. The big difference, though, is that PingTune is as much about connecting artists with listeners as it is about connecting listeners with each other. Let’s start with app’s essential features: users can send songs or snippets of songs to friends accompanied by short messages, or start a chat around a given track or album. You can literally text-argue the merits of the new Drake album while it plays through the app in the background pretty sweet. While these features are great for the average listener, they’re perfect for emerging artists who can use PingTune to send out new music, videos, or ‘exclusive leaks’ to fans. 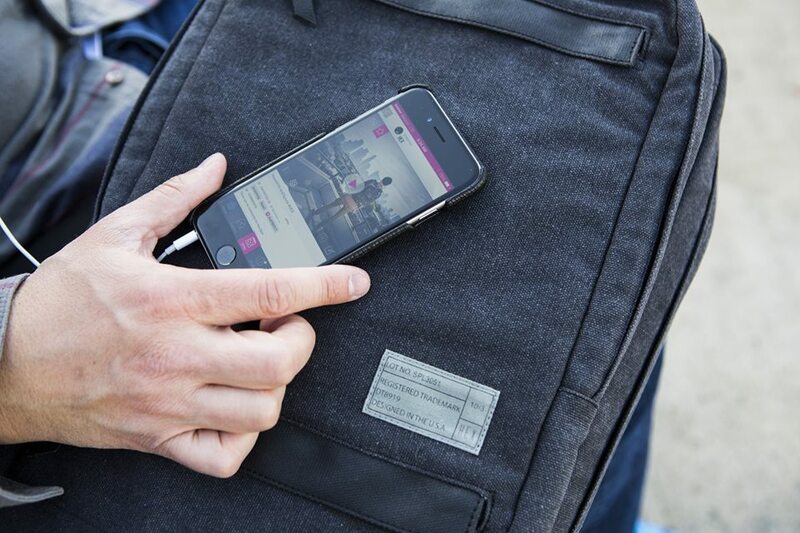 The perfect tool for creating an engaged mobile audience? Maybe. With $1.6 million in funding from VC Firm Hambro Perks and Paperless Home and Zilium founder Marcus J Becker, we can assume that PingTune won’t be hurting for cash anytime soon. Tradiio is a music discovery and gaming platform that engages users by allowing them to invest digital currency in up and coming artists. It’s kind of like Spotify meets Wall Street for real-world prizes. New users start with 4000 coins, which they can then invest in songs from new and emerging artists. If a song you invested in increases in value, you can share your stake at a profit and use the proceeds to buy actual things like Tradiio t-shirts, tote bags, and music festival tickets. He’s totally right, by the way. I haven’t been able to put it down. Tradiio comes to us from London by way of Porto, Portugal, where it was founded in 2014, and where it recently picked up a €975, 000 seed from Espirito Santo ventures. You can download Tradiio for Android or iOS, or check it out online. Though it’s currently 100% free, expect «freemium» style features like paying for additional coins or a «subscription» for unlocking even more new music. If you’ve got a stellar idea for a music streaming or social app, get in touch and we’ll jam on it.